Insert sticks and pour iced tea base to the fill line of each cavity. Let it freeze completely, then remove the pops with the Super Tool and enjoy. 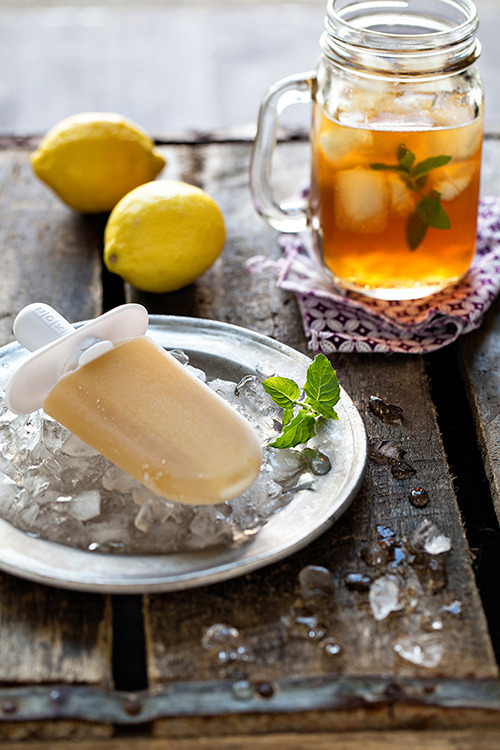 *We recommend tasting the iced tea base before filling the Zoku Quick Pop Maker. If you find your base needs to be sweetened up, simply add in more honey until you reach your preferred level of sweetness. *We used black iced tea for this recipe. Start making pops in as little as 7 minutes on your countertop. The Quick Pop Maker is available for purchase here.